This website is operated by Cubico Coffee. Throughout the site, the terms “we”, “us” and “our” refer to Cubico Coffee. Cubico Coffee offers this website, including all information, tools and services available from this site to you, the user, conditioned upon your acceptance of all terms,conditions, policies and notices stated here. By visiting our site and/ or purchasing something from us,you engage in our “Service” and agree to be bound by the following terms and conditions (“Terms of Service”, “Terms”), including those additional terms and conditions and policies referenced herein and/or available by hyperlink. These Terms of Service apply to all users of the site, including without limitation users who are browsers, vendors,customers, merchants, and/ or contributors of content. We reserve the right, but are not obligated, to limit the sales of our products or Services to any person, geographic region or jurisdiction. We may exercise this right on a case-by-case basis. We reserve the right to limit the quantities of any products or services that we offer.All descriptions of products or product pricing are subject to change at anytime without notice, at the sole discretion of us. We reserve the right to discontinue any product at any time. Any offer for any product or service made on this site is void where prohibited. We do not warrant that the quality of any products,services, information, or other material purchased or obtained by you will meet your expectations, or that any errors in the Service will be corrected. If, at our request, you send certain specific submissions(for example contest entries) or without a request from us you send creative ideas, suggestions, proposals, plans, or other materials, whether online, by email, by postal mail, or otherwise (collectively, 'comments'), you agree that we may, at any time, without restriction, edit, copy, publish, distribute,translate and otherwise use in any medium any comments that you forward to us.We are and shall be under no obligation (1) to maintain any comments in confidence; (2) to pay compensation for any comments; or (3) to respond to any comments. We undertake no obligation to update, amend or clarify information in the Service or on any related website, including without limitation, pricing information, except as required by law. No specified update or refresh date applied in the Service or on any related website, should betaken to indicate that all information in the Service or on any related website has been modified or updated. In addition to other prohibitions as set forth in the Terms of Service, you are prohibited from using the site or its content: (a) for any unlawful purpose; (b) to solicit others to perform or participate in any unlawful acts; (c) to violate any international, federal, provincial or state regulations, rules, laws, or local ordinances; (d) to infringe upon or violate our intellectual property rights or the intellectual property rights of others;(e) to harass, abuse, insult, harm, defame, slander, disparage, intimidate, or discriminate based on gender, sexual orientation, religion, ethnicity, race,age, national origin, or disability; (f) to submit false or misleading information; (g) to upload or transmit viruses or any other type of malicious code that will or may be used in any way that will affect the functionality or operation of the Service or of any related website, other websites, or the Internet; (h) to collect or track the personal information of others; (i) to spam, phish, pharm, pretext, spider, crawl, or scrape; (j) for any obscene or immoral purpose; or (k) to interfere with or circumvent the security features of the Service or any related website, other websites, or the Internet. We reserve the right to terminate your use of the Service or any related website for violating any of the prohibited uses. In no case shall Cubico Coffee, our directors, officers,employees, affiliates, agents, contractors, interns, suppliers, service providers or licensors be liable for any injury, loss, claim, or any direct,indirect, incidental, punitive, special, or consequential damages of any kind,including, without limitation lost profits, lost revenue, lost savings, loss of data, replacement costs, or any similar damages, whether based in contract,tort (including negligence), strict liability or otherwise, arising from your use of any of the service or any products procured using the service, or for any other claim related in any way to your use of the service or any product,including, but not limited to, any errors or omissions in any content, or any loss or damage of any kind incurred as a result of the use of the service or any content (or product) posted, transmitted, or otherwise made available via the service, even if advised of their possibility. Because some states or jurisdictions do not allow the exclusion or the limitation of liability for consequential or incidental damages, in such states or jurisdictions, our liability shall be limited to the maximum extent permitted by law. You agree to indemnify, defend and hold harmless Cubico Coffee and our parent, subsidiaries, affiliates, partners, officers, directors,agents, contractors, licensors, service providers, subcontractors, suppliers,interns and employees, harmless from any claim or demand, including reasonable attorneys’ fees, made by any third-party due to or arising out of your breach of these Terms of Service or the documents they incorporate by reference, or your violation of any law or the rights of a third-party. In the event that any provision of these Terms of Service is determined to be unlawful, void or unenforceable, such provision shall nonetheless be enforceable to the fullest extent permitted by applicable law,and the unenforceable portion shall be deemed to be severed from these Terms of Service, such determination shall not affect the validity and enforce ability of any other remaining provisions. These Terms of Service and any separate agreements whereby we provide you Services shall be governed by and construed in accordance with the laws of 4811 Lyons Technology Pkwy Suite # 28, Coconut Creek, FL, 33073,United States. Questions about the Terms of Service should be sent to us at info@cubicocoffee.com. 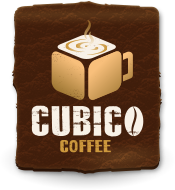 This website is operated by Cubico Coffee. Throughout thesite, the terms “we”, “us” and “our” refer to Cubico Coffee. Cubico Coffeeoffers this website, including all information, tools and services availablefrom this site to you, the user, conditioned upon your acceptance of all terms,conditions, policies and notices stated here. By visiting our site and/ or purchasing something from us,you engage in our “Service” and agree to be bound by the following terms andconditions (“Terms of Service”, “Terms”), including those additional terms andconditions and policies referenced herein and/or available by hyperlink. TheseTerms of Service apply to all users ofthe site, including without limitation users who are browsers, vendors,customers, merchants, and/ or contributors of content. Any new features or tools which are added to the currentstore shall also be subject to the Terms of Service. You can review the mostcurrent version of the Terms of Service at any time on this page. We reservethe right to update, change or replace any part of these Terms of Service byposting updates and/or changes to our website. It is your responsibility tocheck this page periodically for changes. Your continued use of or access tothe website following the posting of any changes constitutes acceptance ofthose changes. Our store is hosted on Shopify Inc. They provide us with theonline e-commerce platform that allows us to sell our products and services toyou. We may provide you with access to third-party tools overwhich we neither monitor nor have any control nor input. You acknowledge and agree that we provide access to suchtools ”as is” and “as available” without any warranties, representations orconditions of any kind and without any endorsement. We shall have no liabilitywhatsoever arising from or relating to your use of optional third-party tools. You agree that your comments will not violate any right ofany third-party, including copyright, trademark, privacy, personality or otherpersonal or proprietary right. You further agree that your comments will notcontain libelous or otherwise unlawful, abusive or obscene material, or containany computer virus or other malware that could in any way affect the operationof the Service or any related website. You may not use a false e-mail address,pretend to be someone other than yourself, or otherwise mislead us orthird-parties as to the origin of any comments. You are solely responsible forany comments you make and their accuracy. We take no responsibility and assumeno liability for any comments posted by you or any third-party. In no case shall Cubico Coffee, our directors, officers,employees, affiliates, agents, contractors, interns, suppliers, serviceproviders or licensors be liable for any injury, loss, claim, or any direct,indirect, incidental, punitive, special, or consequential damages of any kind,including, without limitation lost profits, lost revenue, lost savings, loss ofdata, replacement costs, or any similar damages, whether based in contract,tort (including negligence), strict liability or otherwise, arising from youruse of any of the service or any products procured using the service, or forany other claim related in any way to your use of the service or any product,including, but not limited to, any errors or omissions in any content, or anyloss or damage of any kind incurred as a result of the use of the service orany content (or product) posted, transmitted, or otherwise made available viathe service, even if advised of their possibility. Because some states orjurisdictions do not allow the exclusion or the limitation of liability forconsequential or incidental damages, in such states or jurisdictions, ourliability shall be limited to the maximum extent permitted by law. You agree to indemnify, defend and hold harmless CubicoCoffee and our parent, subsidiaries, affiliates, partners, officers, directors,agents, contractors, licensors, service providers, subcontractors, suppliers,interns and employees, harmless from any claim or demand, including reasonableattorneys’ fees, made by any third-party due to or arising out of your breachof these Terms of Service or the documents they incorporate by reference, oryour violation of any law or the rights of a third-party. These Terms of Service and any separate agreements wherebywe provide you Services shall be governed by and construed in accordance withthe laws of 4811 Lyons Technology Pkwy Suite # 28, Coconut Creek, FL, 33073,United States.